The 35th annual Jimmy and Rosalynn Carter Works Project wrapped up Friday in South Bend. During the building blitz more than 15 hundred volunteers worked on dozens of homes in St. Joseph County. 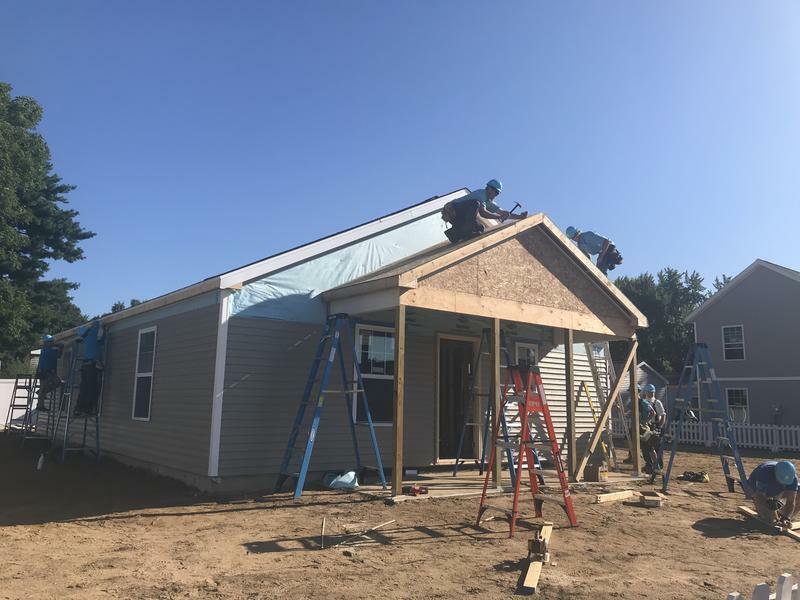 Names like “Jimmy Carter” and “Garth Brooks” go hand in hand with “Habitat for Humanity.” But there’s one name Habitat officials and Carter himself credit with helping bring those big names to St. Joseph County. LeRoy Troyer is a retired architect from St. Joseph County and currently lives in St. Joseph County. He grew up in an Amish family in Middlebury, where he says he became interested in building. He says his upbringing taught him the importance of helping others firsthand. His faith has also led him to take on other faith-based projects, most notably a replica of Noah’s Ark in Ohio. But Troyer says the belief that helping others was most important had the biggest impact on him. His involvement with Habitat for Humanity began when he was a student at Notre Dame. Since that first meeting, Troyer has worked specifically with the Carters during the yearly week-long build projects. “One of the things that’s made him dear to us, for the last 33 years now, LeRoy has been house leader on the house that Rose and I get to build,” said Former President Jimmy Carter. For 33 of 35 Carter Works Project builds, Troyer is basically the president’s boss, he oversees that the house they’re working on is built according to plan. CEO and President of the St. Joseph Chapter of Habitat for Humanity, Jim Williams, says Troyer invited him to his first Carter Works Project in Haiti. Williams says while he felt confident that St. Joe County could nab the Works Project this year, he knew Troyer would be a big factor in getting selected. “So the fact that he’s a local resident, really helped us when we put in an application to say we wanted to host the project, that obviously went a long way,” Williams said. 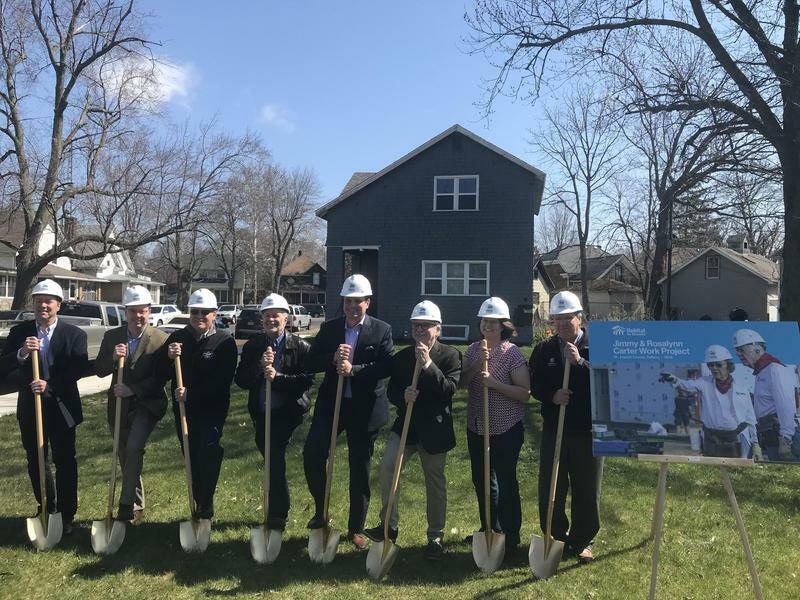 Habitat for Humanity International CEO Jonathan Reckford remembers the day Troyer and Williams approached him about hosting a Carter Works Project. “I told them they better go home and think about really hard because it’s actually a ton of work to put together a Carter Project,” Reckford said. But Reckford now says he’s amazed at how well prepared the cities of Mishawaka and South Bend were for the project, says hosting a Carter Works Project on Troyer’s turf makes sense. “I think in some ways it’s so fitting that we’re here and that a piece of this is to thank him for the extraordinary gifts he’s given to so many people,” he said. 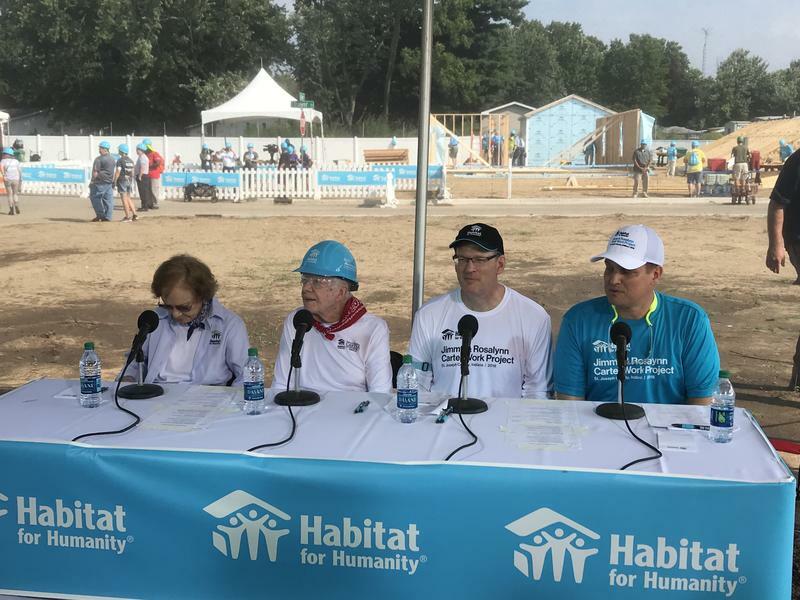 Troyer suffered stroke last September but is so committed to Habitat for Humanity, he worked with the Carters again this year. They worked on a home on the corner of Carter Court and Troyer Trail on the build site. Troyer says he hopes to encourage others to volunteer in their communities and help community members in need. “It’s amazing, how much when you think you’re actually helping someone else, you extend a helping hand, how much benefit you get out that, personal benefit,” Troyer said. Troyer says kindness creates cycles of kindness, and programs like Habitat helps kick off those cycles. Street sign outside of Carter Court and Troyer Trail in Mishawaka, during the 2018 Jimmy and Rosalynn Carter Works Project. Anguiano: Let's start with your name and your title. Carter: My name is Jimmy Carter. I used to be president, but I'm not anymore. Anguiano: And what do you do now? Carter: Well, I run the Carter Center and I work [on] Habitat [for Humanity]. Anguiano: What's the biggest thing, what's the biggest takeaway you've had from Habitat in general? Jim Williams is the president and CEO of the St. Joseph County Chapter of Habitat for Humanity.